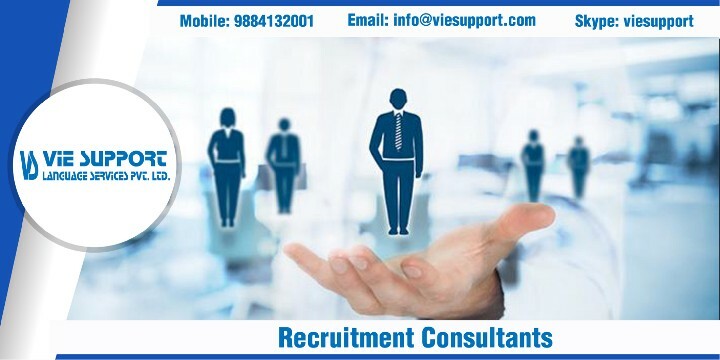 With the sprawling business in different fields, having recruitment consultants has become one of the notable ones in this arena. Recruitment consultants act as a medium between the company and an organization who wish to hire and the client (the person looking for a career), keeping the interest of both parties in mind. Our organization, Vie Support provides the solution to your every need. Our recruitment consultants not only assess, examine and cater to their client needs but also take the project to satisfactory completion. We offer you a variety of area of expertise, irrespective of domain. From base level recruitment to any senior level recruitment, our consultants are available 24*7 for your help. Be it technical or any other industry, Vie Support’s team analysis the trends of the industry with utmost vigilance. We have a mind-blowing customer satisfactory history; with our hassle-free services and customer-centric approach, we have established a good name in the industry. Facing new challenges and providing substantial results is the key motto of our recruitment consultants. The services can be customized according to the client’s need; we are just a call away. Our qualitative work will surely impress you and help you take your business to new heights.